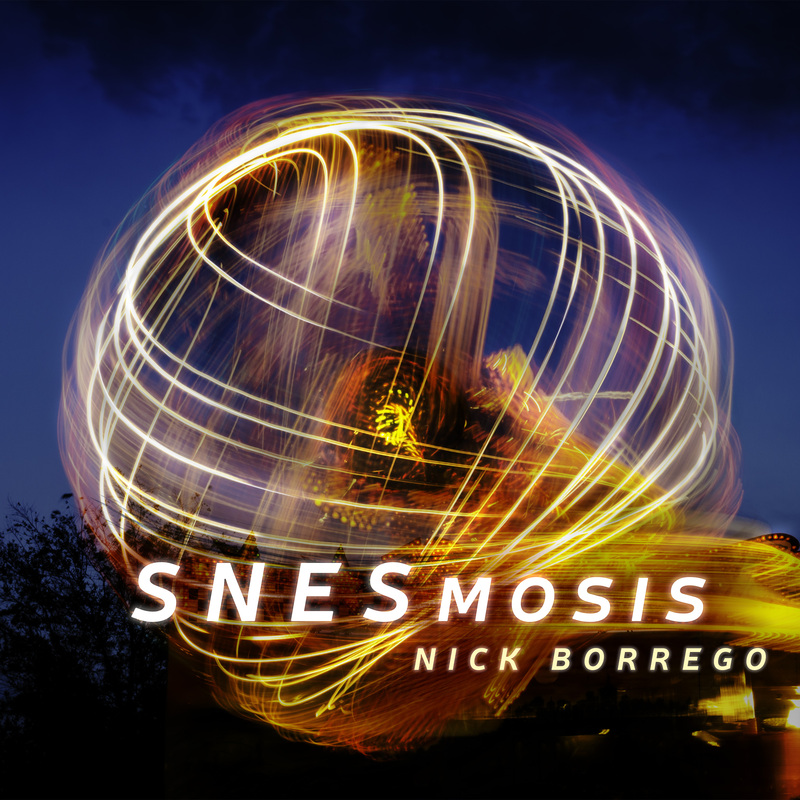 Inspired by the music of a console that many consider a cornerstone of video gaming, SNESmosis has arrived to present a whole new dimension to the songs of our gaming past. With a crisp modern sound and a blend of electronic sampling and live instruments, artist Nick Borrego delivers a stunning set of eight songs. With tunes from games like F-Zero, Sim City, Mortal Kombat 2 and more, the temptation to pick this album up was hard to resist. Each song feels like it has been carefully assessed and enhanced to a point where you feel as if it were a modern-day backing. 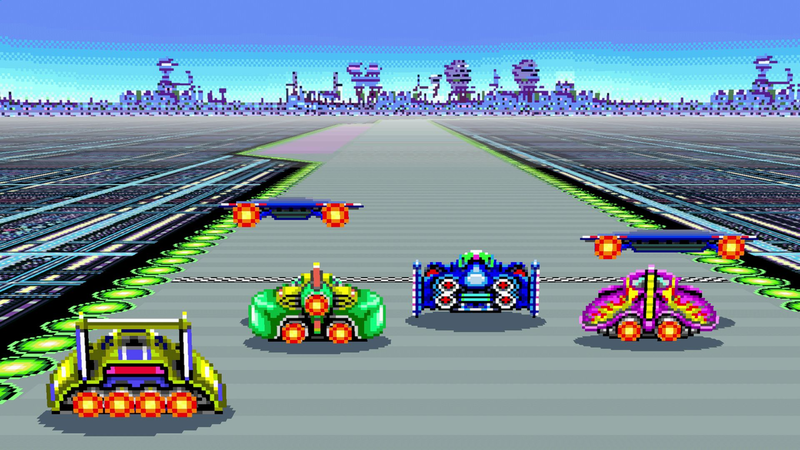 The riff in F-Zero’s Mute City turns the racing tune into a hard rock track that gets your heart pumping, while Sim City’s Capital delivers a vibe that bounces between Journey-esque lullabies and jaunty bars of the piano. One of the smaller details I really like about this album is that it features a very different take on a Zelda classic, which breaks the mould of what so many other interpretations or remixes pursue. While I would love to describe each song here, I don’t want to spoil the fun of discovering each of these songs and how they have changed. Most of the songs on this album bring a real sense of atmosphere which, like music in modern games such as Metal Gear Solid franchise or the titles by thatgamecompany, deftly weave the sound into the environment so that the player feels like they are truly a part of what they are experiencing. I get a true sense of nostalgia here, but I feel it builds upon that so that the listener remembers the titles with renewed enthusiasm and love. For more insights into Nick’s creative process and his new album, I caught up with him to find out more. Tell me about your album; what is SNESmosis? What were you trying to deliver? Nick: SNESmosis is a collection of soundtrack covers from various games that blew me away as a child and still hold up all these years later. There’s a classic quality to these game soundtracks that we’ll look back on decades from now and appreciate what they did for music in video games, films, and the works of artists that grew up playing them. Why did you decide to write an album based on retro game themes? Nick: I played in bands and live shows for a lot of my teens and early 20s, heavily inspired by [bands like] Tool and Rage Against the Machine, but eventually decided to focus more on soundtracks. After having a film director recently tell me that my sound is very “video-gamey”, I considered that to be career advice. Also, playing with my newborn son at the time with background music from games like Donkey Kong Country playing on my phone really got my creative curiosity going towards having my own take on these soundtracks. Do you have a favourite retro game? What console is it on? I’m guessing the SNES. Nick: Definitely the SNES; and the game would be Zelda: A Link to the Past. At the age of 12, I had a bunch of kids from the neighbourhood surrounding me at a friend’s house in Logan, Utah, where I proceeded to beat the game in front of them. It was my crowning moment as a young child, in a day when the internet was nowhere near a thing yet. They had to be in the room to see it happen. That’s not a “things were better in my day” rant, by the way, things are better now than they ever have been, and I love how we’re able to do that kind of thing online now across the world. So who is Nick Borrego? Where did this all start for you? Nick: As an 8-year-old, I complained a lot about my piano lessons. I didn’t get how useful of an instrument that is for carving out a foundation for musicians. Eventually, early grunge bands like Soundgarden, Bush, Alice in Chains, and The Smashing Pumpkins inspired me to learn the guitar. At 14, a friend of mine talked his dad into lending me his guitar, and I would spend hours in the basement playing along to these bands on the radio and cassettes. What track did you have the most fun writing/performing? Nick: I liked arranging the sci-fi soundscape of StarFox Theme quite a lot, as mixing my Les Paul with vintage synth pads is a combo I really enjoy. From a technical standpoint, Mortal Kombat 2: The Living Forest challenged me to map out the track by ear in a really crazy time signature so that was interesting. Contra 3 pushed me to sharpen on my guitar shredding. All things considered, every track had its own way of making things a lot of fun since they’re from different games with different tones. NB: All proceeds from sales will go directly to the artist. Next ArticleRetrospekt.com.au is now Retrosports.com.au! Sports Haiku Episode One!